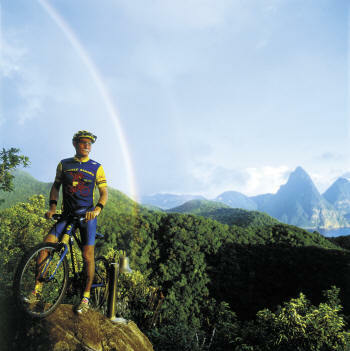 Anse Chastanet has created 12 miles of exclusive hiking and biking trails in the Anse Mamin valley, which is part of the 600 acre resort estate. These add-on packages can be combined with any other package, special offer or promotion. These packages can be removed or is subject to change without prior notice. Mountain bike rental can also be booked directly at the resort: - half day biking (2 hours) at 49 USD & - full day biking (4 hours) at 79 USD.